The demand of concrete pipes is mainly driven by the industries that consume them which are mostly the infrastructure projects. Despite the slowdown in construction activities in the period 2009 to 2014, there has been an upward trend again in the demand for the concrete pipes which in turn increases the demand for the Hume pipe making machines. Some of the projects that create demand for the concrete pipe making include natural gas distribution projects, sewage treatment plants, storm water drainages and water channels. There has been a constant demand for the pipe making machines in different countries. The use of the concrete pipes continues to account for over half of all the linear pipe footage due to material advantages such as structural integrity, durability and the high compression and pressure resistance. In Afghanistan, the demand for concrete products is at the peak due to the reconstruction efforts and the ample supply of concrete most of which occurs naturally. In the country of Bangladesh, the demand for concrete pipe machines is driven by usage of concrete pipes in irrigation water channels. The demand is however well supported by the regional supply from major manufacturers in India. The country of Brazil is another area where demand for the concrete pipe has been on a steady increase. The concrete pipes are used in the drainage of storm water, and are produced in both round and egg shaped designs. In India the trend has also shown a strong level of demand for the concrete pipe making machines, driven by a corresponding demand for the concrete pipes. The demand is created by industries such as the irrigation sector, gas and petroleum pipelines. Infrastructure development, urbanization and development of real estate projects are creating a huge secondary demand for the concrete pipe making machines. 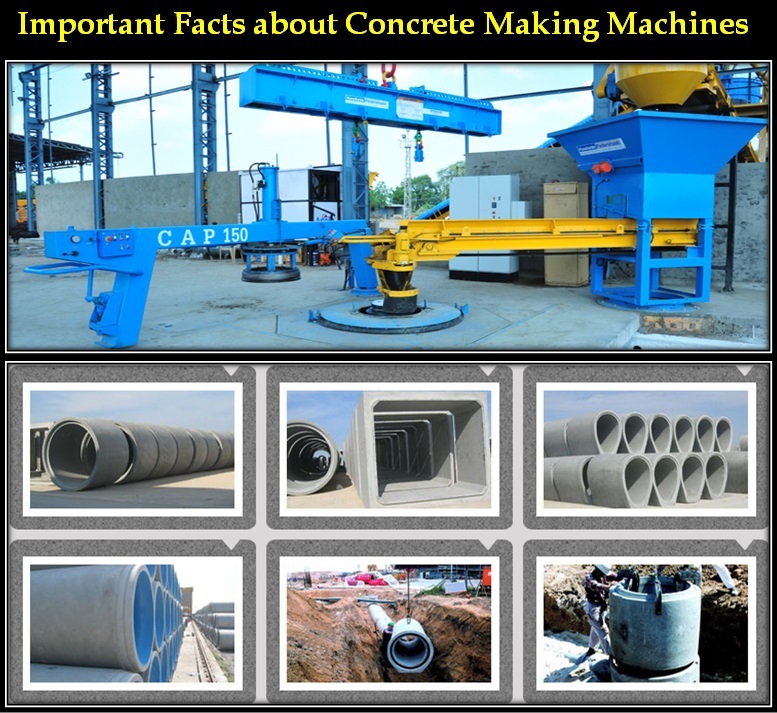 In this country the demand for concrete machines has remained significantly high. The concrete pipe making machine must be calibrated when supplying the equipments as it must meet the concrete standards set by the Malaysian authorities. The demand in this country is easily off set by the Indian production level. Technological advancements have led to changes in the shapes and design of machinery to achieve greater output by manufacturing more pieces per hour. Like the other major countries, the main users are sewer lines, drainage and other sanitary disposal channels. In the country of Vietnam, supply of concrete pipes manufactured using the Hume pipe making machine is done almost exclusively by external suppliers mostly from the Indian sub continent. The pressure concrete pipes with diameter over 1200 mm are mostly imported. The demand is expected to continue into the near future. Research done in developed countries such as the United States also show an average increase in demand at a rate of 1.3 % per annum. The quality of the final concrete pipes has also been a important factor promoting the demand of the concrete making machines.